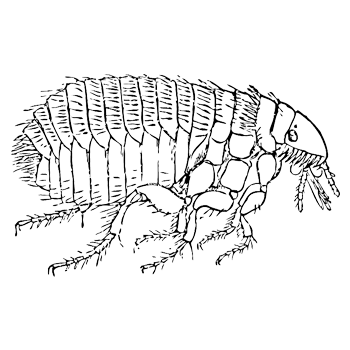 Fleas are usually first noticed by minor rashes and itchiness on the arms and legs of people in their vicinity. If you have noticed this, then you may have fleas in your property. How to identify if you have fleas? Fleas generally leave bite marks which leave a round red area on the skin with a small darker red spot in the centre. This causes itchiness which cannot be relieved by scratching. For pets fleas can cause serious diseases as will as chronic itching and discomfort. Humans don’t suffer the same disease risk but the constant itching is very unsettling. At Peter the Possum Man prior to any flea treatments, we will discuss your flea situation with you and as well as treating infested areas, we’ll advise you to speak to family or your staff about personal treatment and/or the treatment of their pets to prevent fleas from returning. Our staff then expertly provide a fast and effective flea treatment.